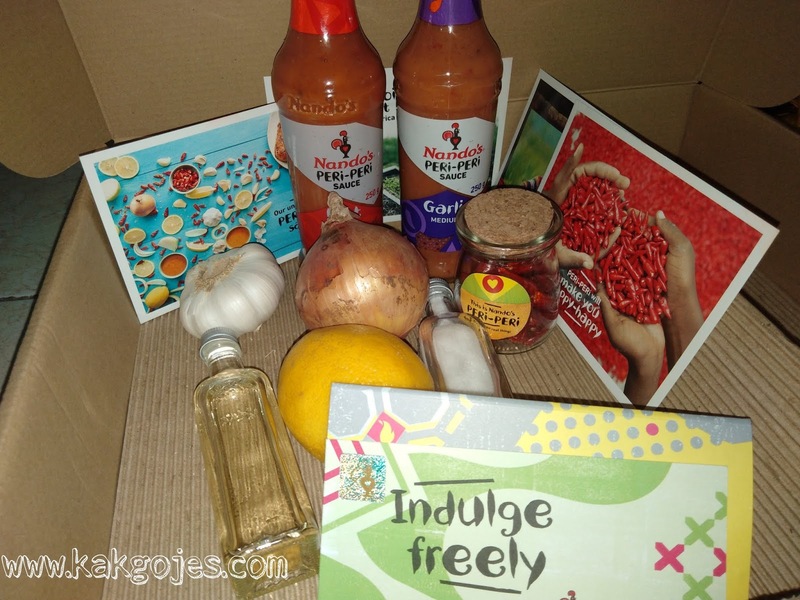 Home / Unlabelled / NANDO'S CELEBRATES 20 YEARS OF PERi-PERi PERFECTION! NANDO'S CELEBRATES 20 YEARS OF PERi-PERi PERFECTION! Nando's the iconic brand that is loved the world over, celebrates its 20th birthday here in Malaysia. From its humble beginnings in Jalan Telawi, Nando's has grown to be a favorite amongst the flamed-grilled chicken enthusiasts locally. 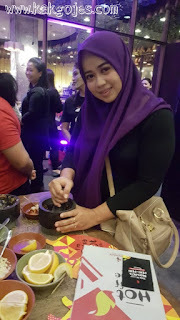 Sizzling the hearts of Malaysians with its glorious PERi-PERi sauce, trademark cheeky wit and out spoken humor, the brand has not only introduced to Malaysians, really really good chicken, but a host of other delectable eats that jeep them coming back for more. Truly passionate about chilies, Nando's grows its own PERi-PERi chillies with the help of over 1,400 independent farmers in South Africa. Mixing these fiery little wonders with onions, oil, herbs, fresh lemons and a kick of garlic produces the brand's unparalleled secret weapon, the Nando's PERi-PERi sauce. Putting flavor first and heat second, the Nando's PERi-PERi sauce is unlike the 'all-out-burn' of other chili sauces. The chickens are marinated in the sauce for 24-hour and then basted with ones choice of heat level ranging from Lemon & Herb to the fiery Extra Hot. "We are very excited about reaching such a significant milestone here in Malaysia. We started in 1998 and 29 years on and we are still firing up the taste buds of our amazing fans and hitting a few new-comers as well. Our magical little chilli called PERi-PERi is to thank for this as it is our heart and our heat and it is truly unique to Nando's, " commented Stephen Chew, CEO of Nando's Malaysia. In Sabah alone, Nando's has opened three restaurants to ensure fans always have a coop to go to when they are in need of some PERi-PERi goodness. 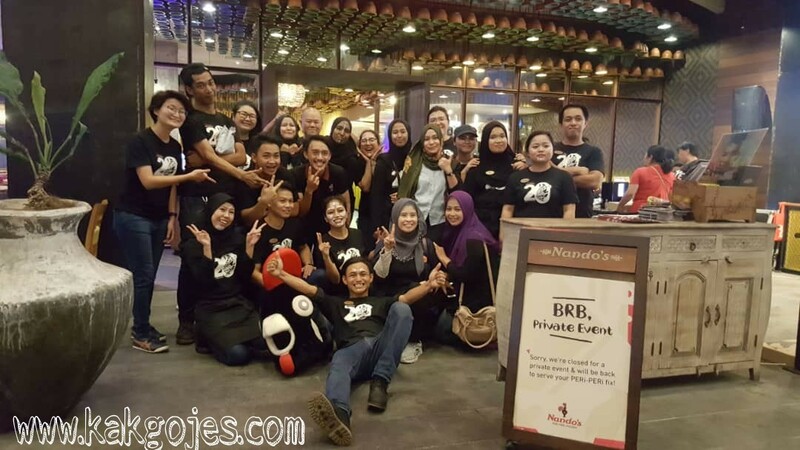 Having first opened in 1 Borneo almost five years ago, Nando's has since nested comfortably in the hearts of the Kota Kinabalu people. The brand's success is rooted in its value-for-money offering., giving chicken lovers a bang for their buck. For less than RM20, patrons get to enjoy a full hearty meal of a flamed-grilled PERi-PERi quarter chicken and servings of two delicious sides of their choice. The loyalty programme, a Nando's mobile application, also showers fans with the best rewards by allowing them to redeem a free quarter chicken, right up to a whole chicken by collecting just nine chillies. 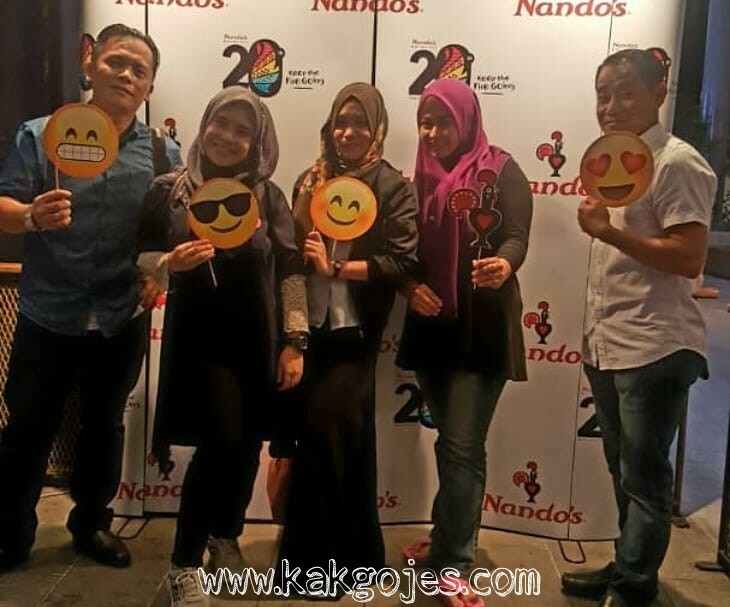 As an added bonus in conjunction with their 20th Birthday, Nando's is giving the people of Kota Kinabalu even more reasons to celebrate. All restaurants, which are 1 Borneo, Oceanus and Imago, will be setting up an Ayam Lucky Draw board where 100 PERi-PERi lovers stand a chance to win anything from free sides to Full Platters (whole chicken with 2 large or 4 regular sides) daily. All they have to do is present their receipt for a chance at the draw. The brand which has procured almost a cult status in Malaysia also have PERi-PERi sauce that fans can purchase for their home consumption, because sometimes, a dose of PERi-PERi is all one needs. "It is truly a moment of great pride and honour to have completed two successful decades here. 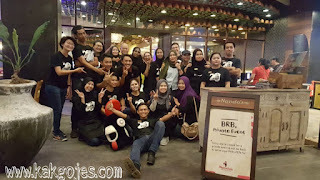 Malaysia has been fantastic for Nando's as the Malaysian pride of diversity, hospitality and sense of family reflects the value that Nando's holds dear. At Nando's, we believe that the people and experience is what counts; and it is extremely satisfying to see so many fans enjoying the Nando's experience wholeheartedly, " added Chew. It takes 42,000 chilies to fill one 14kg bag and 25,000 bags are filled every year - that's over a billion chilies! The story of Nando's began in a small Johannesburg suburb in South Africa in 1987, with all the passions for Portuguese-inspired flamed-grilled PERi-PERi chicken. In 1998, Nando's opened its first restaurant in Kuala Lumpur and has been grilling Malaysians taste buds ever since. Now Malaysia is home to 76 Nando's restaurants across various states, best known for its legendary and delicious flamed-grilled PERi-PERi chicken. At Nando's, we surround our customers with warmth, hospitality and fun, whilst offering them a meal to remember. Served in their signature heat levels - Lemon & Herb, Mango & Lime, Mild, Hot & Extra Hot - on, or off the bone, in a wrap, burger or pitta, and served with a delicious selection of sides, salads, appetizers and sharing platters, Nando's offer great variety, and mouth-watering recipes to please all food palettes. You'll find yourself spoilt for choice! Skincare Paling Selamat dan Berkesan Untuk Parut Jarawat Berlubang? 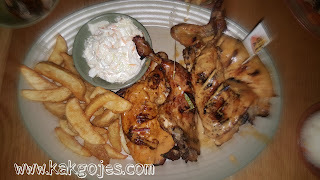 Nandos my all time favorite KG.. Bila baca post KG ni rasa nak pergi makan kat Nandos bawak anak sementara cuti sekolah ni..
Nandos chicken is tasty nice. If they can server faster will be even better.